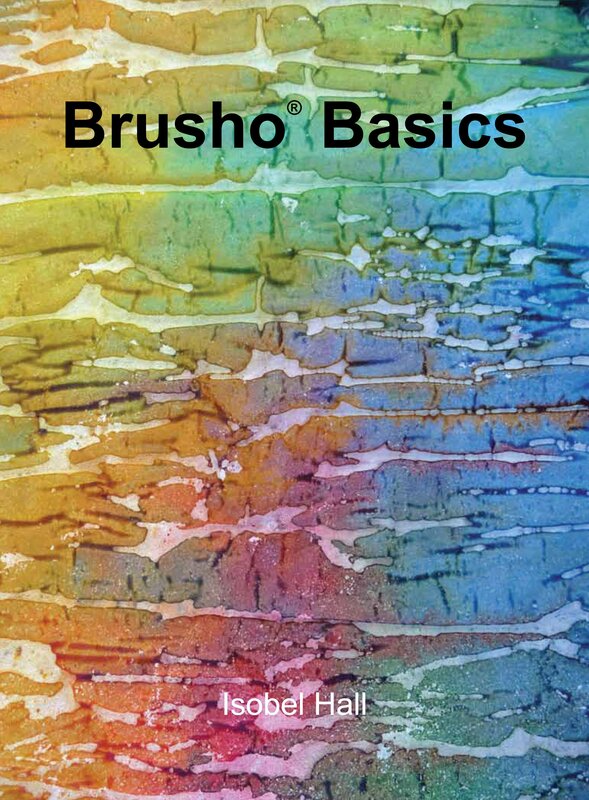 Brusho Basics by Isobel Hall | Colourcraft Ltd. In this book, talented artist Isobel Hall demonstrates how to use Brusho Crystal Colour - an amazing, unique colouring medium for mixed media, painting and textile embellishment. Step by step instructions and beautiful illustrations guide you through a range of different techniques including using textured kozo papers, colouring by sprinkling Brusho to create book covers and bracelets, working with Brusho and fusible webbings, using Brusho with Colourcraft Ltd Relief paste and transferring patterns using rubbing plates. A 'must have' resource for anyone looking for inspiring, innovative ideas. © 2017 Colourcraft. All Rights Reserved.